The Philippine archipelago is usually hit by an average of 20 typhoons or tropical storms which can kill hundreds or even thousands of people annually not yet including other casualties and damaged properties. 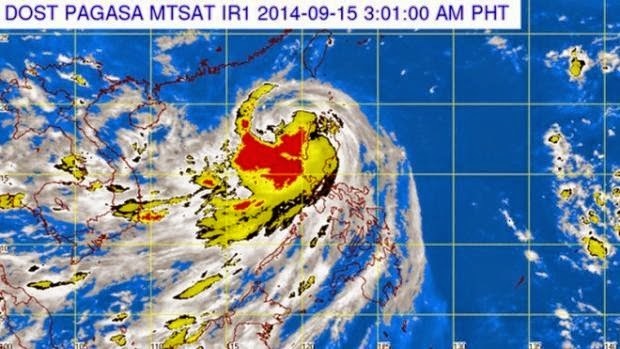 As of now, we are being pounded by typhoon Luis. Yolanda should be a painful lesson for each one of us to really take typhoons seriously and to prepare you and your family from its hazards. Here are safety tips then that you might want to remember to ensure your safety before, during, and after a tropical storm. 1. Ensure that there is a safe drinking water and the supply should last all throughout the storm. To make sure that the water is safe to drink, boil it for 3 minutes. If not, distilled water is good. 2. Check your food supply. Make sure to protect your food from contaminants by sealing them properly. 3. Prepare your medicine kit, charge all your phones for point of contact. Be ready with your flashlights, emergency lights and batteries. 4. Be alert. You have to obtain as much weather information as possible specially the typhoon’s signal. Stay away from landslide-prone areas. As early as possible, if you are near the riverbanks, or beaches or any place that can easily be flooded or where water can easily rise, then coordinate with local authorities for an early evacuation. 5. Start moving up your valuables if your house is flood-prone. This is to prevent you from rushing if the water is already high. And if you are already flooded, better to evacuate for safety. Things are replaceable, you are not. 6. Don’t go out, most especially if the wind is so strong. Keep out from falling debris and flying objects. 7. Don’t let your kids play in the flood to prevent them from acquiring water-borne diseases like leptospirosis. 8. For power interruptions, switch off your main power source. Keep out of hanging wires and unstable structures or buildings. 9. Wear warm clothes. Stay dry. 10. PRAY. There’s nothing much more powerful than asking the Lord for your protection and safety. God can perform Divine Intervention and miracles. And He is more powerful than the storm. We are not new to typhoons anymore as we experience it yearly. We just have to be reminded to always ensure you and your family’s safety. We can always overcome calamities by being prepared and to have grace under pressure. Jessie Dericto, 28 years old is a Freelance Writer, Blogger, Virtual Assistant and a nursing mom. If she is not doing anything, she either spends time with her family or doing something that is artsy.